LocalBitcoins is one of the best peer-to-peer(P2P) trading platforms we have right now, as you have the option to trade with another person, without the need to go through a broker like Coinbase, and without any fee at all. LocalBitcoins is a good platform and all, but the question is, is LocalBitcoins safe? Technically, LocalBitcoins is a pretty secure platform. While LocalBitcoins have indeed got infiltrated in the past, there are still no confirmed news on LocalBitcoins being directly hacked for the theft of bitcoin and personal information. Should I leave my funds on LocalBitcoins? It is heavily suggested to only leave minimal amounts of funds on your LocalBitcoins account; only leave the funds you’re currently planning on trading. While LocalBitcoins is one of the best trading platforms we have right now, we should still only use LocalBitcoins mainly for it’s purpose, as a trading platform. It will always be safer for you to download your own Bitcoin wallet like Electrumwhereas you have access to your private keys, or better- a reputable hardware wallet like the Ledger Nano S or a Trezor. When buying or selling bitcoin, always check and take into consideration the number of confirmed trades and feedback score of the person you’re transacting with; you can view these information through looking at their profile. This is to make sure that the person your transacting with has lower chances of doing something fishy. Also take note that even if the person your transacting with has a big amount of confirmed trades and also has a great feedback score, there’s always a possibility of you getting scammed, as accounts with high number of confirmed trades and good feedback score are frequently being sold on black markets. Always remember: confirmed bitcoin transactions are final and cannot be reversed. When doing meetups, make sure to choose a well-lit and well-secured place like a mall, a bank, etc. A place with security guards around should be a #1 priority. It’s recommended to bring your own vehicle or at least bring a friend with one, for safer transportation. Always use LocalBitcoins’ escrow feature. As much as possible, prevent accepting PayPal payments, due to the risk of chargebacks. You can freely register a LocalBitcoins account here. When using a LocalBitcoins account or any account in general that involves using and transacting money, it’s always recommended to make sure that your account is secure enough, to prevent funds from getting stolen. 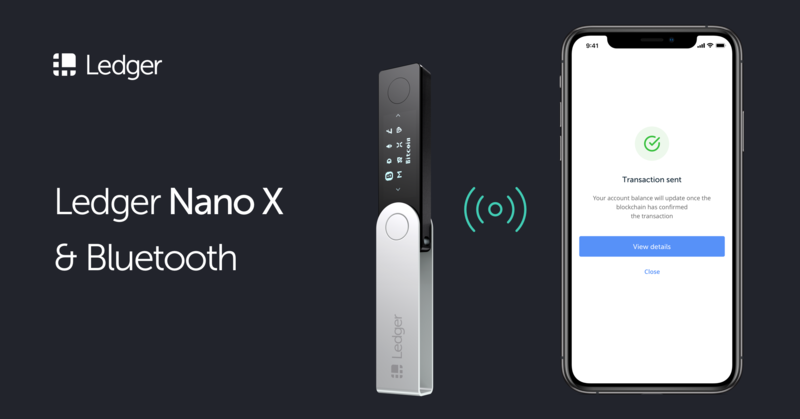 Is it safe to buy a Ledger Nano S/X from Amazon or eBay? CryptoSec © 2019. All Rights Reserved.